Curator Jordan Stein and Classics scholar Dr. Alexandra Pappas lead an informal walk-through of the current KADIST exhibition, If Not Apollo, the Breeze. The origin, logic, and tone of the show are informed by the image and histories of the ancient Greek oracle at Delphi, an important institution in the western tradition that garners attention in times of social upheaval and uncertainty. Artworks on view in the galleries implicitly address oracular ideas of fate, free will, self-knowledge, ambiguity, prognostication, and the manipulation of language. 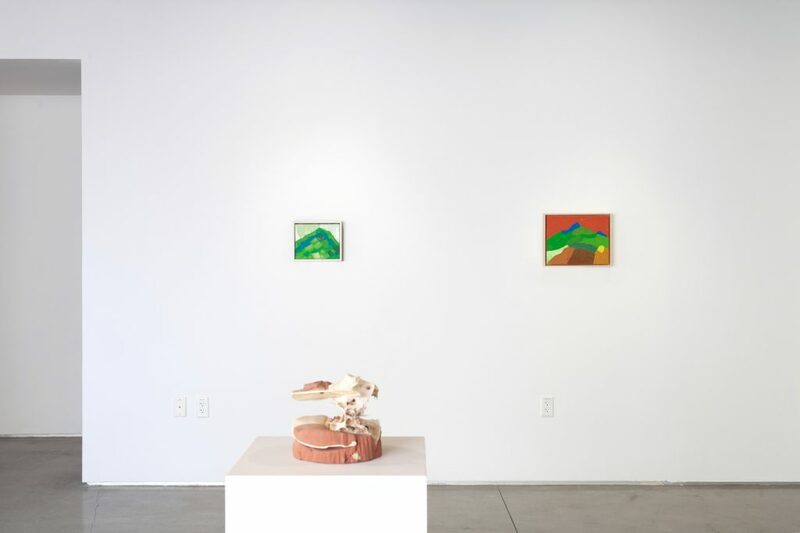 If Not Apollo, the Breeze features work by Etel Adnan, Larry Bell, Mary Helena Clark, Trisha Donnelly, Terry Fox, Matthew Angelo Harrison, Tony Labat, Pope.L, Sturtevant, and the San Francisco Oracle (Allen Cohen, ed.). Alexandra Pappas holds a Ph.D. in Classics from the University of Wisconsin-Madison (2004), and taught at the Universities of Michigan, Pennsylvania and Arkansas before taking her current position as Raoul Bertrand Chair in Classics at San Francisco State University in 2012. She has been a Mellon Postdoctoral Fellow at the University of Pennsylvania (2005-6) and a Junior Fellow at Harvard University’s Center for Hellenic Studies (2011-12). Her teaching and research center on ancient Greek words and images and how they make meaning together.